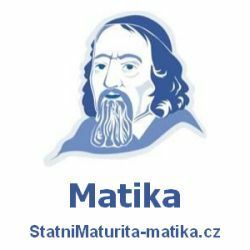 Projděte si přepis maturitního poslechu z anglického jazyka 2012 jaro a zkontrolujte si, jak jste maturitnímu poslechu rozuměli, popřípadě si potvrďte, že jste poslechovému subtestu rozuměli správně. Čím více maturitních poslechů si cvičně vypracujete, tím lépe budete připraveni. Ideální je vždy nejdříve poslechnout bez přepisu textu a následně právě s přepisem. Je to velmi efektivní metoda přípravy na maturitní poslech z AJ. W: That was fast. I hope you didn’t forget anything. W: Well yesterday I asked you for milk and you completely forgot that. M: This time I made a list. Take a look, everything is ticked off. Here are the apples you wanted and of course, some milk. W: And the bread I asked for? M: Sure, it’s just here somewhere. Hm, I don’t see it, but I bought everything on the list. Oh wait, I didn’t even write it down. W: Son, your memory is as bad as your father’s. Oh, I’m so tired. I didn’t get much sleep last night and I’ve got such a headache today. I’m sure people think I was at the disco last night, which just isn’t true. Although a disco would have been more exciting than what I was doing. I’ve got an important mathematics exam this afternoon and I was up all night studying for it. I doubt I’ll pass, though. I just don’t understand that stuff. I should have spent last night relaxing, watching a good movie. At least then I wouldn’t feel so awful today. M: Hey Alice, I’m going swimming on Saturday with some friends. Do you want to come? W: I haven’t been swimming for ages. But I can’t this Saturday, I’ve already got plans with Tiffany. M: Tiffany, you two are always together. Let me guess – you’re going shopping for clothes again, aren’t you? W: No, we went shopping last Saturday. We wanted to do something healthy this Saturday. So, we’re going to the gym. W: Yeah. We need to lose some weight because last night we went to this great Italian restaurant and we ate far too much. I probably put on five kilos and I’m looking forward to losing it on exercise bike. You know, I used to have this really amazing dog. He was a giant, absolutely enormous. And my, how hyperactive he was. But now that I live in the city, I’ve got no room for big dogs. The one I have now is great, though. He’s so cute and he fits right in my purse. He’s that small. But he’s got these really big ears – I just love the way they hang from his face. You know, my previous dog had ears like that, too. I guess I just prefer those to small, sharp ears. M: Nella, if you don’t get dressed in ten minutes, we might as well stay at home this evening. The Zombie Boy is playing at quarter to eight and it’s nearly seven o’clock now. W: Calm down, Steve. I’m already dressed. But you should put on something more appropriate. For once, you could wear those new brown trousers instead of those old jeans. By the way, what was the name of the film again, Steve? It didn’t sound like Sweet America, the film I asked you to look up. M: Well, Sweet America is not on in any cinema today. The only days it’s on are Tuesdays and Fridays. We’re going to see the latest Hollywood thriller, the Zombie Boy. W: The Zombie Boy? Are you kidding? I’m not going to a zombie movie. M: But it’s not just a zombie film. Frank Nichols directed it. W: Frank Nichols? Who’s Frank Nichols? I’ve never heard of him. M: It’s the guy who directed the Good Flower. The man who won an Oscar last year for his film Hot Tea, Cold Love. W: Oh, I see. We’ve seen that film on DVD, haven’t we? I liked that film, but he makes real movies, why would he make a stupid zombie film? M: No, not a zombie. He meets a young, homeless boy. The boy asks for some food and the professor takes him home and cooks dinner for him. W: He cooks for a homeless boy? M: Sure, what’s wrong with that? Now, where was I. Yeah, so um– when they get home, he goes straight to the kitchen to prepare dinner and tells the boy to go to the living room. And while he’s cooking, the boy finds a professor’s notebook lying on the sofa. The notebook with the world’s most difficult maths problem in it. The professor comes into the room to tell the boy the dinner is ready and sees the boy writing something in the notebook. Well, the professor gets angry and tells the boy to leave. But after the boy leaves, the professor looks at the notebook – the boy has written the answer to the maths problem. M: Yes, the homeless boy has solved the problem. W: And what about the zombie? M: Well, that was the name of the boy. W: Good morning everybody and welcome to the beautiful Black Hills of South Dakota and to the Mount Rushmore National Memorial. You’ve probably seen a lot of photographs of it and now you have the opportunity to see it in real life. Behind me, you can recognize the four large heads of former US presidents looking out over the surrounding forest. There is George Washington, the first president of the United States and to his left, Thomas Jefferson who helped write the US Declaration of Independence. Next to him, you can see Theodore Roosevelt, the 26th president and finally, Abraham Lincoln, famous for bringing freedom to black people after the American Civil War. The sculpture was created by the American artist Gutzon Borglum. M: That’s an unusual name. Could you please spell it for me? Ok, let’s see. I’ve packed everything and I’ve got my passport. I think I’m ready to go. I’ve never been to Australia though, so I’m a bit nervous. If it was just a holiday, I’d be more relaxed. I can’t believe my boss wants me to meet with those managers on the day that I arrive. I’m going to be so tired. Well, maybe I’ll have some time to look around while I’m there, too. I mean, if I’m not too busy. I’ve got a good friend in Sydney as well. I haven’t seen him since his wedding. So it would be nice to see him and his wife again. W: So, how exactly did you break your arm? Did you fall off you bicycle again? M: Well, I was riding my bike, but then I needed a break. So, I got off and parked it against the tree. M: Well, I was sitting under the tree, but the tree was on a hill, you know. I guess I fell asleep. When I woke up, I was rolling down the hill. When I hit the bottom, my arm was broken. W: Wow, you’re just unlucky. I don’t think you should ever go hiking in the mountains. I’ve got a date with Mark this evening, but I really don’t feel like going. So, I’m going to cancel. I mean, he’s a great guy, but he’s really in love with me and I just don’t feel the same way. I don’t want to hurt his feelings, though. Maybe I could tell him I’m ill. I mean, I had the flu last week so, he’d believe that. But no, that wouldn’t be fair. I need to be honest with him. I don’t have time to tell him now though, but I’ll call him the first thing when I get home. W: I can’t believe we’re finally going on holiday. M: I know, I can’t wait to get out of the city. New York is great, but it’s time to get away. W: Yeah, but Miami is a city too and you wanted to go there. M: But there are beaches in Miami. W: Well, maybe next year. But now it’s time for some skiing! Have you packed the skis? M: Of course. We can’t go to Colorado without skis. W: Great. Last year we had desert and casinos in Las Vegas. This year we’ll have snow and mountains.